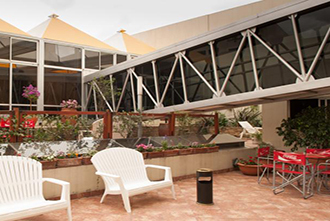 This hotel is located near major tourist attractions of Salta and offers easy access to the business district. 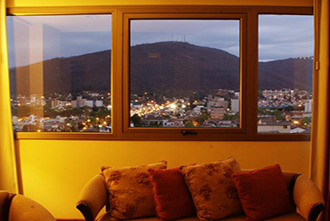 Casa Real Hotel offers spacious rooms with panoramic views of Salta and the surrounding mountains. 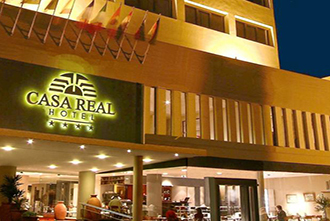 Casa Real Hotel is located 10 minutes walk from the Plaza July 9 and 12 km from Salta International Airport, 200 m from the clubs and bars of Paseo Balcarce, near major tourist attractions and is easily accessible the business district. 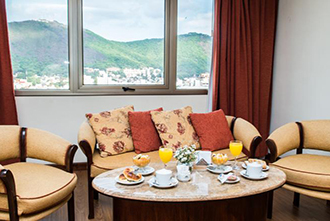 It offers rooms overlooking the hills or the mountains, with panoramic views of Salta, a multi-cuisine restaurant and spa services included in the rate. 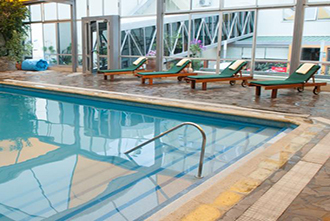 Guests can enjoy the Real Spa Club House which houses an indoor heated pool, whirlpool and sauna, steam bath and gym. You can participate in scheduled daily or a massage for a fee activities. 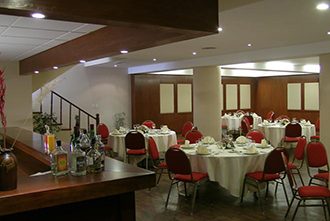 The hotel also features executive lounge and business center. 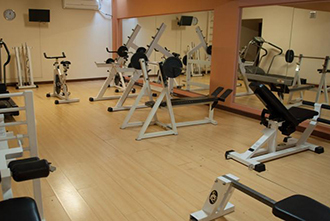 Casa Real has a business center fully equipped fitness center and spa with an indoor heated pool and hot tub. The reception is open 24 hours and can arrange massages for a fee. 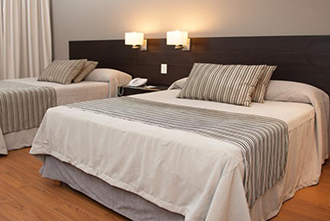 You can rest comfortably in the spacious rooms of 35mts², the Casa Real Hotel, all with spectacular panoramic views of the foothills of the Andes or with a breathtaking view of Cerro San Bernardo and the City. 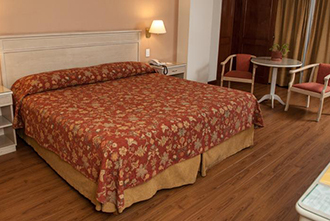 Equipped with 1 King bed mattress (2.00 x 2.00 m) or 2 Queen beds sommier (1.40 x 2.00 meters). Large desk and free internet access, breakfast table, and 2 telephone extensions, one in the bathroom. 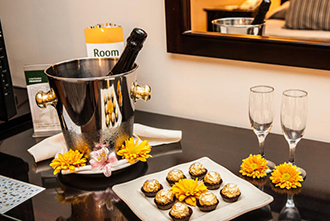 All rooms have cable TV LED, magnetic card lock, Air Conditioning and Heating, Mini bar, Individual safe, amenities and hair dryer. There are equipped for the disabled units. 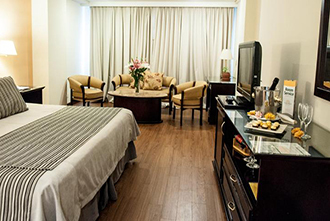 Enjoy acoustic and thermal insulation of the rooms designed for comfort and relaxation. 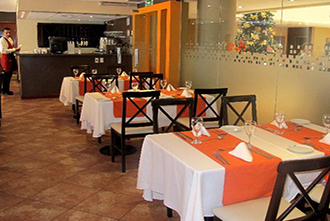 Located next to our majestic lobby in a warm and welcoming atmosphere, ideal to start the day with a full buffet breakfast and during the day of delicious international dishes and a wide selection of desserts and snacks. 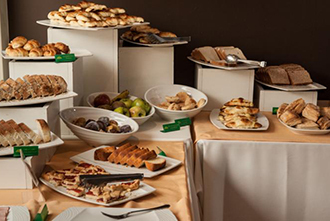 Continental breakfast buffet includes meats, sweet cakes, fruits and breads. In the tearoom you can choose sandwiches and fine drinks, while in the beer garden you can apply table cheeses and wines. To enjoy nice music, delicious coffees, sandwiches and a variety of fine drinks. In a cool and relaxed, poolside environment is our beer garden where you can enjoy fine cheeses tables, a variety of wines and beers.